More catch-up posting, this time for the Telegraph looking at trying to understand the difficulties around intelligence and counter-terrorism. Got various media posting to also catch up on, but will do soon. It has become habit that in the wake of a terrorist incident it is soon uncovered that security agencies were aware of the individuals in question. The immediate assumption therefore is that there was a clear failure, with questions understandably asked about why those involved had not been detained and prevented from carrying out the atrocity. The problem is that this assumption is based on fragmentary information. First, the wider picture is unknown. How many other people were there in view at that moment in time, and how did the behaviour of the individual who launched the attack match up to theirs? Maybe he was not doing anything particularly suspect, while the others being watched were in the midst of undertaking suspicious behaviour which appeared far more menacing. The more menacing person will merit greater attention while the other will be observed in a slightly less intense fashion. This is ultimately a process of prioritization, where choices to deploy resources are made on the basis of activity and information. Second, someone who comes under the suspicion of intelligence agencies is not necessarily by default guilty. Security and intelligence agencies will gather a lot of information on a lot of people: but not all of them will require any deeper investigation. Someone may appear in an investigation by default of who they live near, who they know or who they bump into for some reason. Some will require greater investigation to understand who they are, but the majority are irrelevant and simply passers-by who happen to have encountered someone who is malicious. Those who are investigated to a greater extent, dealt with by the police and ultimately jailed are those who are undertaking activity that is against the law and against whom a specific criminal case can be made. We live in a country where due process and jury courts require the state to produce a burden of evidence to demonstrate guilt. Third, security and intelligence agencies are not always very keen to demonstrate their methods. Consequently information that has maybe been gathered by covert agents or through technical means is not necessarily something that is usable in an open court. In the case of the agent, their identity may be compromised, while the revelation of technical tools will give other terrorists the opportunity to learn about what they have to do to avoid detection in future. This means that sometimes information is gathered which cannot immediately be acted upon openly. Clearly if suspects are moving towards violent or dangerous behaviour something will be done, but if they are not doing anything criminal, and there is no usable evidence of them planning something, then observation has to be the default. Of course we have no clear idea at this moment whether any or all of these are the reason why the existing information on the various recent plotters was not acted upon. Questions are being understandably asked about whether the process of prioritization is calibrated correctly. Three successful attacks from the broader pool of people known to the intelligence agencies is clearly a worrying reality. Have they adequately factored into the prioritization process patterns of behaviour by terrorist groups, new methodologies of attack and how radicalisation works these days? It is worth noting that in many ways it is a good thing that intelligence agencies have knowledge of individuals who ultimately go on to commit terrorist atrocities. It would be even worse if they did not know who they were. Should terrorists emerge completely from the void, questions would have to be asked about how it was they had no knowledge of them. Awareness demonstrates that they are looking at the right people and places. The reality is that intelligence information is by its nature fragmentary. Unable to see inside people’s minds, security and intelligence agencies rely on assorted inputs to develop a picture on the basis of which they make judgements and assessments about who they should devote attention to watching. The process by which these choices are made are subject to fairly constant revision and consideration, but unfortunately, they are not perfect. None of this will of course provide comfort to those who have lost loved ones in an atrocity, but it is something that is important to bear in mind when considering what should be done in its wake. Clearly security and intelligence agencies will have to review their processes, but care should be paid to not move to more extreme and draconian measures that will ultimately foster the very narrative that extremists advance. 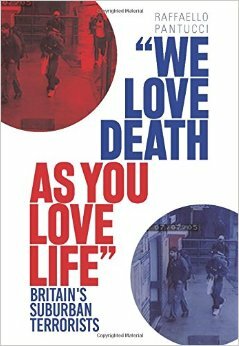 An excellent article, one that applies to far more than counter-terrorism. One must wonder, if not ask, why were some of those involved in the latest attacks had NOT been referred to the Channel Project – whether by the police or those in the community. Allied to this is the suspicion that the “agencies” have remained focused on their preferred, longstanding target sets – as was suspected before 7/7 and their focus on North Africans as the “likely suspects”. How extensive was the knowledge of those involved? 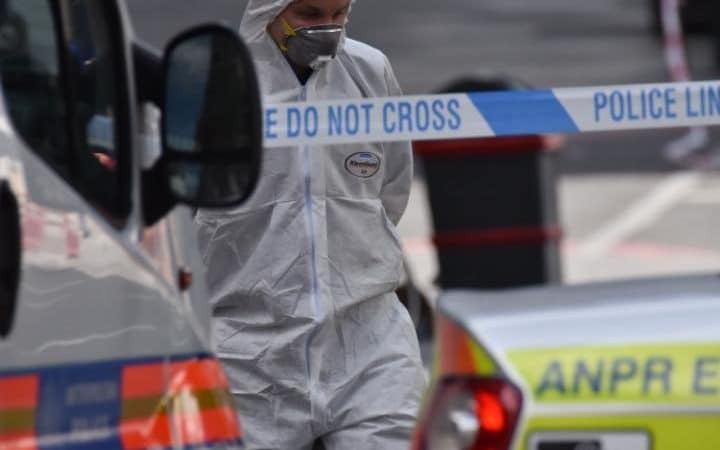 The Westminster Bridge attacker comes to mind and he was rapidly identified – starting with the hire company who rented out his vehicle and could glimpse the registration number from the TV screen. As much as political and public “trust and confidence” is needed for effective, successful counter-terrorism, it is also needed within the institutions themselves.